Glis glis pest control covering all the Home counties. including Hertfordshire, Bedfordshire, Oxfordshire, Buckinghamshire and Berkshhire plus surrounding areas. JG Environmental are the leading glis removal company in the country. We see so many glis problems that we can be confident you will be happy with the results of our treatment. Please call if you require emergency service out of office hours. Our services are humane in that we limit the potential stress to the glis by employing quick, effective techniqies. Having several technicians based in and around the Chalfont/ Beaconsfield area we are able to get out very quickly if you run into a glis glis problem. Blocking glis holes is a difficult task, however we do provide glis proofing as an option. Unfortunately due to the nature of the houses that glis are attracted to, in the Chilterns and surrounding areas, it is often very difficult to identify the glis access point. 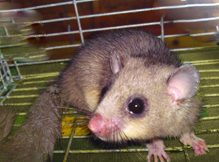 The most effective way of glis glis control is through specialised trapping. Most people do not have access to this equipment, here at JG Environmental we have all the specialist professional facilities to implement effective glis glis removal in your property. About Gliss Gliss / Edible Doormouse Pest Control: Glis Experts- JG Environmental Pest Control take pride in being a Glis Glis pest control expert. We carry out Glis pest control in Beaconsfield, Chalfont st Giles, Chalfont st Peter, Gerrards cross, Rickmansworth and surrounding areas on a regular basis. We have specialist glis glis traps, baits and cages. If you have a problem with Glis pests be sure to contact a Glis expert and not just a regular pest control company.